CSM9 Archives - Sugar also served on CSM9. If you are interested in what happened then check the archives for weekly posts. This is Sugar Kyle's CSMX link page. Below should be blog posts, dev blogs, pertinent forum posts, podcasts, and anything else CSMX (2015-2016) focused for your browsing pleasure. 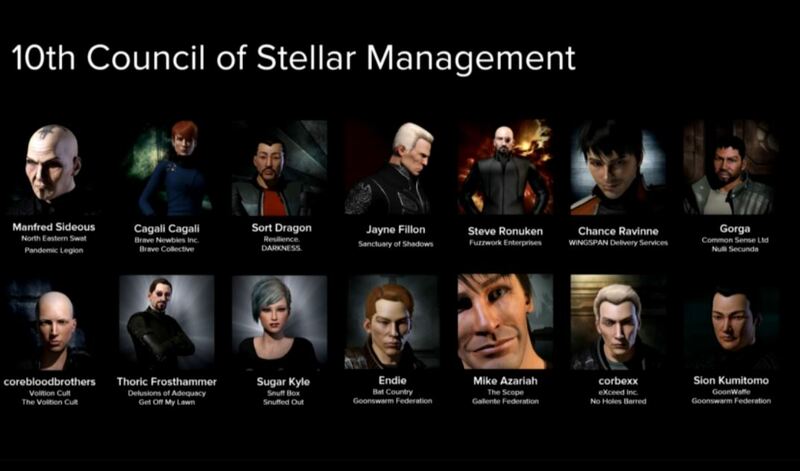 CSM - The Council of Steller Management is a player elected group of representatives that form a link between CCP and the Eve Online player community.